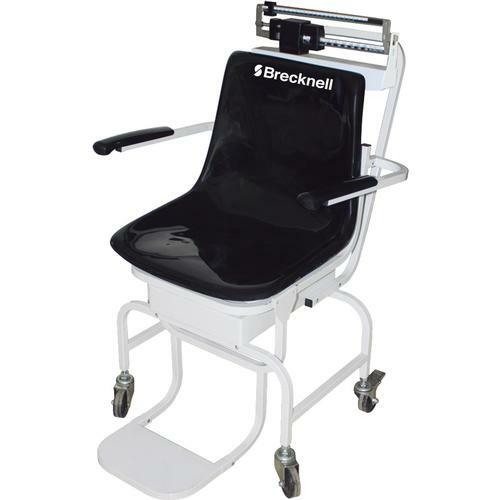 This mechanical chair scale was designed for weighing those who have difficultly standing on their own. The die-cast easy-to-read beam runs along the back of the chair.Powder coated steel construction. The chair is oversizedfor comfort with armrests that lift away for easy access.The rear wheels lock for safety and the front wheels swivel for easy portability along with easy-to-clean plastic seat.